I’m feeling very sad and nostalgic today. I’m actually weepy and kind of lost. Please forgive me. You see, another chapter in my life began today. Two of my boys went off to college and are now gone from my home and from my work. One of the boys has been my warehouse manager at All American Window & Door for the last two years. Our normal morning routine has been to eat breakfast together and touch base about life, fun, and personal “stuff.” As we walked out the front door, we would say “bye – have a good day” then get into our vehicles, wave to each other and go to work. Once we arrived at work 15 minutes later, we would greet each other again and touch base about business “stuff.” Today he wasn’t at the breakfast table with me and he wasn’t in the warehouse as I walked through. Every day in life we experience change. Some changes are obvious and some are small. I’ve had many other kids go to college, but they did it right out of high school. So, I only missed them at home. This way is much harder. I miss him as an employee too!! I’ve had many employees come and go through the years. Some stay long and some stay short. Some have touched my heart in a special way. Employees are a very valuable part of All American Window & Door. We work hard together to complete projects for our customers. We are each in the orchestra playing our individual parts. When it all comes together we accomplish great things. I do believe in building an exceptional team – whether it’s at home or work. I’ve taught my children to be leaders and I’ve taught my employees to take leadership here. I expect each to take ownership of their jobs and responsibilities. It makes our teamwork so much easier and so much fun. It’s about the relationships. Strong relationships build strong families and strong businesses. Exceptional teams are built on small gestures – saying good job, thank you, and I’m proud of you go a long way in cementing relationships. 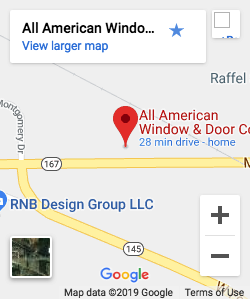 I’ve had a vision for my children just as I’ve had a vision for All American Window. I have been vocal in sharing what the future looks like and what needs to be done to get there. I’ve tried to engage my children and my employees to see it for themselves and go after it. I helped them grow and stretch their abilities and challenged them to reach for new heights. We created the plans together to make an unstoppable team. As my boys go off to college, I must remind myself that I’ve done my best to prepare them for life. I could dwell on all the negatives and have a pity party and tell them, “no, you can’t go yet – I’m not done with you,” but it would serve no purpose. The day is here for the chicks to leave the nest. 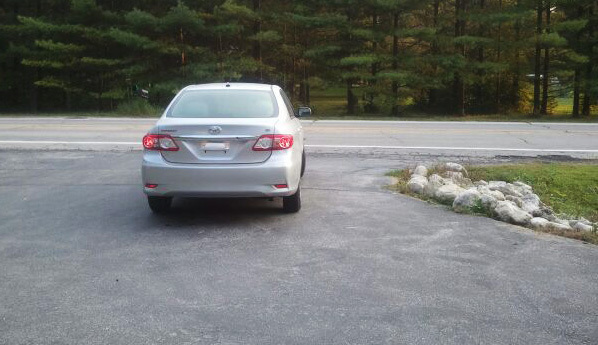 I’ve watched the tail lights of six other children as they drove out of the driveway for college. I’ve watched employee tail lights leave the parking lot on their last day of work too. Today is MUCH harder because it is child #7 and #8 leaving together. Life is all about change. In fact, the only thing consistent in life is change. So today, as my life changes in a big way, I’ll say it again to them – Best wishes boys!! You’ve done a good job with your lives so far. Thank you for making right decisions. Thank you for understanding my vision for your life, and letting it become your vision for your life. Thank you for listening to me through the years and keeping me close. And I am so very proud of you for staying true to yourself and developing strong and mature character!! I am proud that you have become men! !